To be eligible for breeding within the NAS and register the offspring of the mare with the NAS, all mares must go through an approval process. The approval process is based on each individual. The extent of the approval process will depend upon what the mare has accomplished in her lifetime. Mares approved with the main mare book of a recognized WBFSH studbook may not need to be inspected but will be reviewed for approval in order to enter the main book. The absence of non-recognized bloodlines from the pedigree, regardless of current registration. Examples of non-recognized bloodlines include Appaloosa, Morgan, American Paint Horse, Quarter Horse, Saddlebreds, Standardbreds, Mustangs, Friesians, Andalusians, Lipizzaners, pony breeds, etc. Original registration by the NAS, a NAS-recognized WBFSH registry, the Jockey Club OR the Arabian Horse Association. The complete list of WBFSH-recognized registries can be found on line (http://www.wbfsh.org/?GB/Members.aspx). Please note that the internal rules and regulations of some WBFSH-approved registries may not align with the objectives of NAS, so if the registry is not in the short list, please contact the office. The Auxiliary Book has been designed to accommodate those quality mares who have problems with registration papers and/or their pedigree. For example, mares that are lacking registration papers, have gaps in their 5-generation pedigree, have been issued Certificate of Pedigrees, etc., are all candidates for the Auxiliary Book. If you have a quality mare and believe she may be a candidate for the Auxiliary book, please check with the office to discuss your mare further. Auxiliary Book mares will have certain requirements and limitations that will need to be followed to maintain their Auxiliary Book status. Please see the Mare Quality Enforcement section. Inspection attendance for mares will be contingent upon the mare and her accomplishments as a broodmare. While each mare will be assessed individually, generalized guidelines of inspection attendance are outlined below. Mares that are NAS-inspected will be able to participate in the NAS Mare predicate program (regardless of their birth registry) and possibly earn their Premium and/or Elite status with the NAS. Mares are required to be inspected at an NAS inspection if they have never been inspected by the NAS or an NAS-recognized WBFSH registry (minimum score requirements must be met). Also, all mares that are Auxiliary Book candidates must be inspected at an NAS Inspection, regardless of their status with other registries. 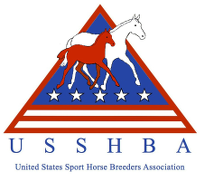 AGED/UNSOUND MARES: The NAS recognizes that there are many older mares and/or mares with injuries which may render them “breeding sound” only and unable to perform at an inspection. Acknowledging the potential contribution of these mares to North American sport horse breeding, the NAS invites such mares to the approval process. With veterinarian-certified documentation validating the injury, these mares will participate in those aspects which their physical capabilities allow as outlined by their veterinarian and be scored accordingly. Mares that have been inspected by other NAS-recognized WBFSH registries and have received sufficient scores may be allowed to forgo the NAS inspection upon review of their information by the NAS. A production report of the mare, including such items as detailed information on premium foals, approved stallions from the mare’s direct line, competition record of offspring, etc. There is the possibility that a mare may be turned down for breeding approval. Bringing an unapproved mare with a foal risks not being able to receive registration papers for the foal. Sadly, mares die during birth. An orphan foal out of an unapproved, deceased mare can not be registered. The NAS mare inspection consists of one required phase (referred to as the Core inspection) plus two optional phases, the jump chute and/or an under saddle test. During the Core phase, the mare’s type, conformation and gaits (walk, trot and canter) will be assessed and scored. The height of the jump chute will be based upon the age and/or ability of the mare. No single score less than a 5.0. No single score less than 6.0. In a similar fashion to the Stallion Quality Enforcement, the offspring of all NAS-approved mares will be monitored to allow NAS judges to provide mare owner’s maximum feedback and guidance about their current and future breeding selections. Mares that produce quality offspring will be eligible for the registry’s Elite Mare program. Mares that are producing less than sufficient quality foals will be placed on the Watch List and be given an opportunity to increase the overall quality before losing their breeding approval. Offspring will not be branded until the age of 3 when it is inspected at an NAS Inspection and receives a score of at least 6.5. Male offspring of Auxiliary Book mares will not be considered for stallion licensing. Female offspring of the original Auxiliary Book mare will be upgraded to the Main Mare Book when they have achieved at least 3 full generations of known, verifiable, approved horses. If a mare loses her Auxiliary book status because of lack of quality offspring, female offspring from said mare will need to “re-establish” the mare line in the Auxiliary Book as the original mare will be considered an unapproved mare.